Weather presenter and meteorologist Laura graduated in physics and meteorology at Reading University before joining the MET Office. Having her first assignment in Cardiff Weather Centre she began her presenting career with BBC Radio Wales. 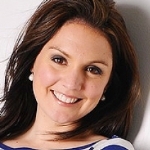 In 2005 Laura diversified further by moving to RAF Brize Norton and provided aeronautical reports to Royal Air Force Transport Crews and then to the British Forces Broadcasting Service. Joining the BBC in 2007 Laura became a regular face on BBC News and Weather and contributed to the on demand and worldwide services. In 2012 she joined the relaunched breakfast programme Daybreak later becoming Good Morning Britain and is now their current Weather Girl.